Charles H. Benecke, 81, died peacefully on July 14, 2009 at the Dougherty Hospice House in Sioux Falls following a short battle with cancer. Charles is now at peace with his Lord. Charles was born July 16, 1927 to Frederick and Dora Benecke. Charles married Bernadine A. Thompson on April 15, 1950. Charles was a lifetime member of the VFW. He was a member of Grace Lutheran Church. He worked for the Board of Education for 35 years and Sioux Merchant Patrol for 30 years. Charles loved his family. 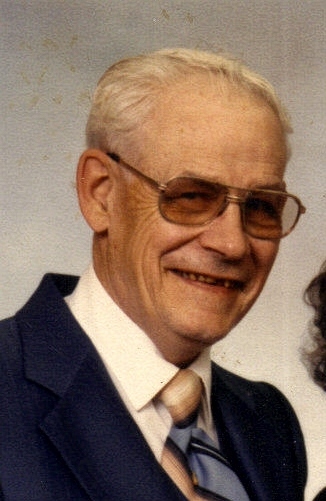 He had a special joy in his heart for his grandchildren and great grandchildren. He enjoyed going to Daybreak. He always enjoyed the outings Daybreak took him on. Charles family would like to give special thanks to Avera McKennan and Dougherty Hospice House for the love and care they gave him. Charles children are Brenda Backous (Duane) Sioux Falls, SD, Joseph F. Benecke Springfield, SD and Mary L. Benecke Willmar, MN; brother: Jerry Benecke (Beth), Sun City, AZ; grandchildren: Shannon Underberg Orange City, CA, Duane Backous Jr. Las Vegas, NV, Richard Backous Madison, SD, Michael Benecke, Dana Benecke and Jessica Leaf all in Sioux Falls, SD; great grandchildren are Hunter Benecke, Annalise Benecke and Cali Benecke. Charles wife, Bernadine Benecke predeceased him along with his parents Frederick and Dora Benecke, two sons, Charles J. Benecke and Timothy A. Benecke two sisters Eva Lou Olson and Helen Flaten. Visitation will be Friday, 5-8 PM with family present from 6-8 PM in our chapel. Funeral Service will be Saturday, 1 PM at Grace Lutheran Church with burial to follow at Hills of Rest Memorial Park with Full Military Rites by Veterans of Foreign Wars Post #628.